Swift and Xcode are the backbone of iOS, and you can learn how to utilise them with Design+Code2 iOS Design and Xcode Training. While it might seem like smartphones are everywhere already, it's still a growing market. That makes it the perfect platform for developers and designers looking to get their apps in front of as many people as possible. 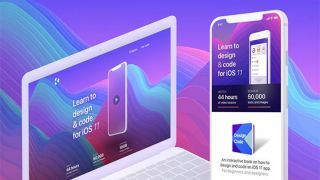 Learn how to build your own apps with Design+Code2 iOS Design and Xcode Training, on sale for 74% off the retail price! If you have a creative mind, you’re going to love working on mobile apps. It’s a platform that rewards unique and innovative ways of doing things. To get the skills you need to take your out of the box ideas to mobile, pick up Design+Code2 iOS Design and Xcode Training. With over 44 hours of video lessons, you’ll learn everything you need to know about the languages and tools that define Apple’s iOS platform, including Swift, Xcode, Sketch and more. You can get Design+Code2 iOS Design and Xcode Training for just $39 (approx. £28). That’s 74% off the retail price. It’s a great price for a training course that could pay for itself, so grab this must-have deal today!